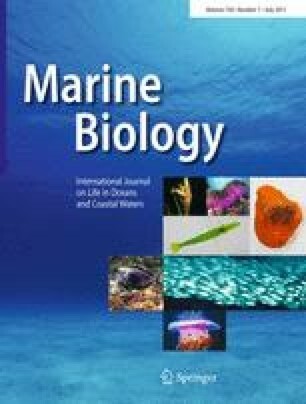 Biodiversity of sharks in the tropical Indo-Pacific is high, but species-specific information to assist sustainable resource exploitation is scarce. The null hypothesis of population genetic homogeneity was tested for scalloped hammerhead shark (Sphyrna lewini, n = 237) and the milk shark (Rhizoprionodon acutus, n = 207) from northern and eastern Australia, using nuclear (S. lewini, eight microsatellite loci; R. acutus, six loci) and mitochondrial gene markers (873 base pairs of NADH dehydrogenase subunit 4). We were unable to reject genetic homogeneity for S. lewini, which was as expected based on previous studies of this species. Less expected were similar results for R. acutus, which is more benthic and less vagile than S. lewini. These features are probably driving the genetic break found between Australian and central Indonesian R. acutus (F-statistics; mtDNA, 0.751–0.903, respectively; microsatellite loci, 0.038–0.047 respectively). Our results support the spatially homogeneous monitoring and management plan for shark species in Queensland, Australia. The online version of this article (doi: 10.1007/s00227-011-1666-y) contains supplementary material, which is available to authorized users. We are indebted to the many fishers and scientists who collected tissue samples for this project, including those associated with the Marine and Tropical Science Research Facility project 4.8.4 (GBRWHA Inshore fisheries), James Cook University and the fisheries observer programmes in Queensland and New South Wales. The Australian Fisheries Research and Development Corporation supported this study (project 2007/035).